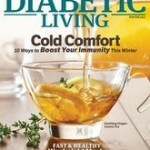 Magazine subscriptions nowadays can be quit easy to find here at ScamFreeSamples.com! Listed are popular magazines like Cosmopolitan, Muscle & Fitness, Gold Digest, Bridal Guide, Family Fun, Parenting and many more! Start now by choosing a category below then selecting a subscription of your choice! We update this category daily so make sure you sign-up for our newsletter or check our site daily for the latest subscriptions! Just sign up and enjoy a FREE Magazine Subscription from Mercury Magazines. Get Your FREE Subscription to Harper’s Bazaar, InStyle, Road Runn Sports $17 Gift Card & More! Get Your FREE Subscription to Harper’s Bazaar, Entertainment Weekly, Dr Oz The Good Life, and More! Foodies, cooks, and anyone else who enjoys good food: you can get a FREE Subscription to EatingWell Magazine!! If you’re interested in improving your kitchen game, simply claim your complimentary subscription now! Fill out the brief form and follow directions and they’ll begin shipping your magazine right to your door. Get Your FREE Subscription to Harper’s Bazaar, Town & Country, Redbook, O The Oprah Magazine and More!